Qiryat Ata is located 6 km southeast of the present-day Mediterranean coast, 6 km northeast of the Qishon River and 5 km east of Haifa. The modern town derives its name from the abandoned Arab village of Kufreita or Kufr Etta, which was inhabited until the beginning of the twentieth century. Proximity to the rich alluvial soils of the Zebulun Valley and the nearby Qishon River attracted settlement to this region as early as the Neolithic period. 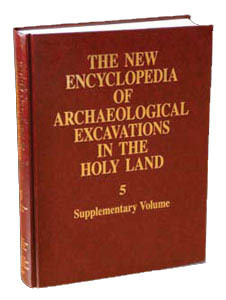 The modern-day town is rich in archaeological remains, which include a Byzantine church, excavated by F. Vitto on behalf of the Israel Department of Antiquities in 1973; and various tombs, installations, and other architectural remains of the Roman, Byzantine, and Islamic periods located primarily in and around the abandoned Arab village. The site was surveyed by the late Y. Olami in 1965, who collected pottery from the Early Bronze, Middle Bronze, and Iron Ages and the Byzantine period, and defined the extent of the occupation. Intensive development in recent years has damaged many of the archaeological remains.